It can be used to integrate into system such as AHUs and FCUs where condensate can build up and overflow sending an alarm out should this occur. 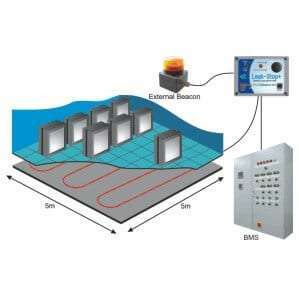 It can be powered independently or from a 6 – 30 VDC supply taken directly from the HVAC controller. The relay in the Intelli-Probe can be connected to any spare input in the HVAC controller that would normally be used to connect temperature or humidity sensors. 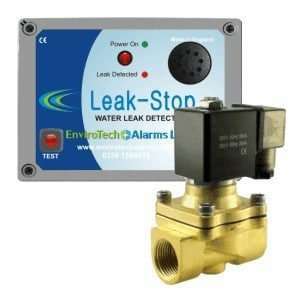 This can offer the opportunity to program the control system to raise an alarm on the BMS, send a text message and shut down various processes to reduce the impact of the water causing damage to sensitive equipment. 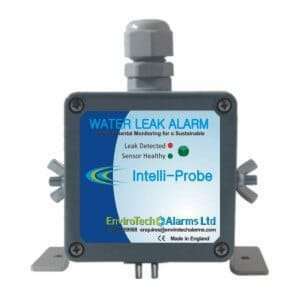 The Intelli-Probe is a self contained water leak detection alarm. It has an onboard micro processor that can detect the presence of water and signal the integral relay to change state. 80mm x 80mm x 55mm (Height Adjustable 0 – 25mm).